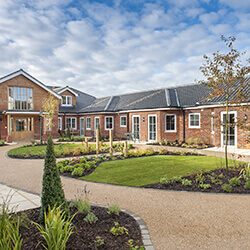 AC Leigh has supplied many different types of care homes throughout the UK over the last 50 years and the requirements for each were different depending on the type of residents and level of care required. AC Leigh provides a full consultation with the designers and clients to determine their specific requirements. 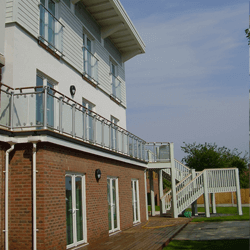 The selection of ironmongery for this type of project requires experience and care. Easy to use door furniture that doesn’t look too commercial should be selected as this will be the residents home from home. Combining security considerations with the need to meet fire regulations can be difficult in this type of building. 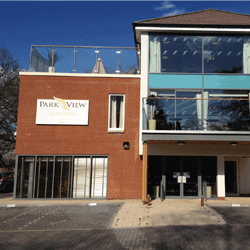 Specialised access control, automatic door operators and swing free door closers can be selected to meet the requirements of both residents and staff. The specification of anti-ligature hardware requires experience and knowledge to ensure it doesn’t look institutionalised. 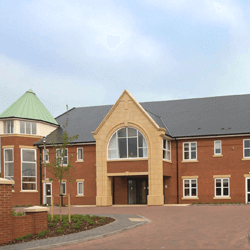 Our Salto anti-ligature access control system allows residents to be able to lock their doors whilst still allowing staff to gain access at all times in case of emergency. AC Leigh designed and manufactured an anti-ligature electronic access control handle set for bedrooms. 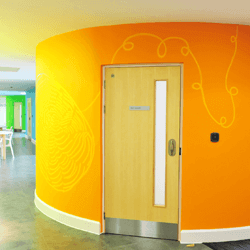 High quality anti-ligature door furniture was used for general areas and electromagnetic locking doors for corridors. The majority of health authority buildings throughout the county are controlled with SALTO by AC Leigh. Cotman homes are situated on the coast in Suffolk, both homes are built into the cliff side directly above the pier and face due south. Environmental conditions such as proximity of the sea and the corrosive salt air limit the choice for ironmongery, quality stainless steel or Hewi nylon are suitable but aluminium or any brass based product would not last in these conditions.